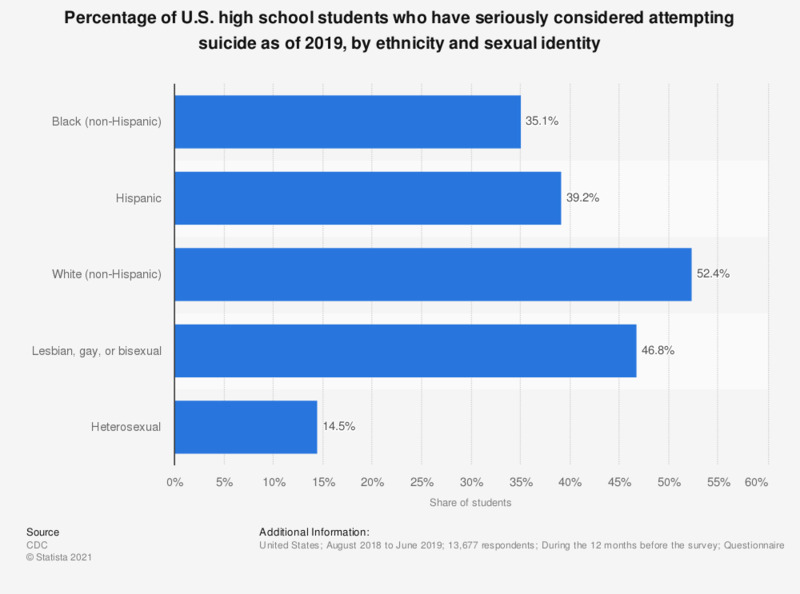 This statistic shows the share of American high school students in grades 9 to 12 who stated they have seriously considered attempting suicide during the 12 months before the survey, by gender and ethnicity. According to the source, 22.2 percent of female student respondents with a Hispanic background stated they have seriously considered attempting suicide during the 12 months before the survey. The survey was conducted at all regular public and private schools with students in at least one of grades 9–12 in the 50 states and the District of Columbia. Do you have a favorable or an unfavorable opinion of hipsters?